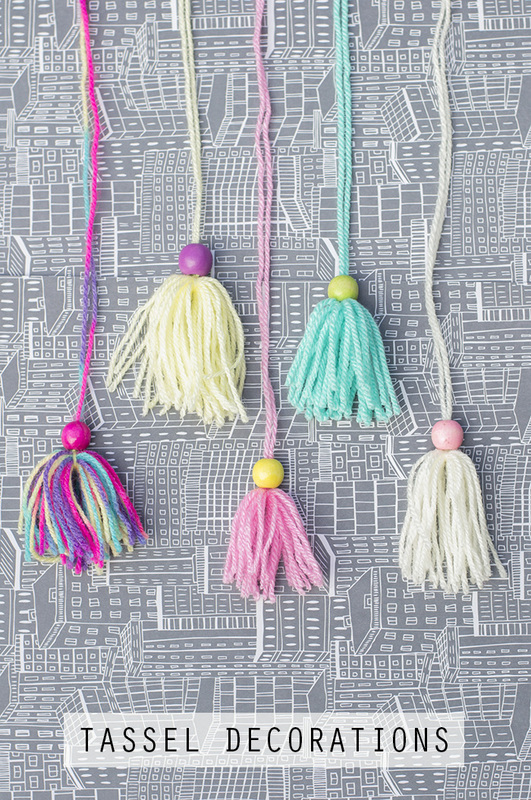 I was messing around with some yarn and beads yesterday and ended up making these tassels. I’m not really sure what you could do with them but they were really easy to make. 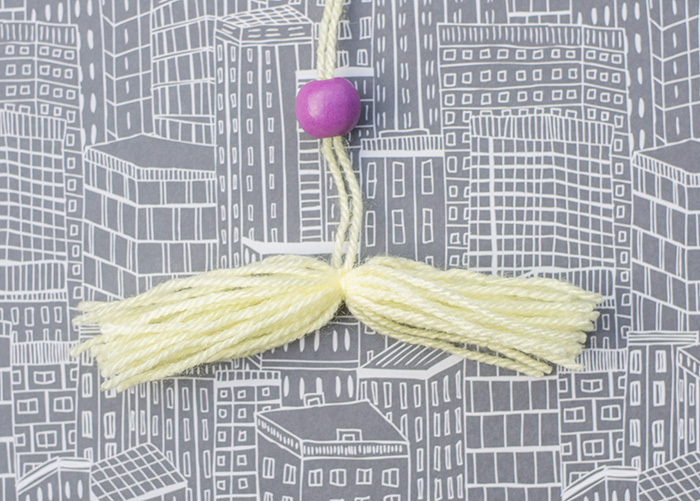 Then tied a long piece around the middle of them, pulled the ends down to make the tassel and added a bead to top. You can use them to hang in places… bags, radiators, curtain ties, car mirrors, anywhere you like! Just go mad and decorate the world with tassels! If you wanted some more ideas of things you could do with them then here are some of my favourites..